Share Your Photo Try our new form! In this contest, we are looking for your best pictures of birds, plants, flowers or wildlife or your family pet. All photos that are published are eligible to win our contest which awards 1 $50 prize to the best entry in each contest. Your photo description must be written by you and photos must be taken by you. Photos must be clear and high resolution in order to be considered for publication. Contest winnings are sent by email using Paypal or Amazon Gift Cards. You can also choose to donate your Rewards to charity. Some photos may not be selected for publication or may be moved to a more appropriate contest. At the completion of the contest we award 1 $50 prizes to the best photo in each contest, chosen by our editors. 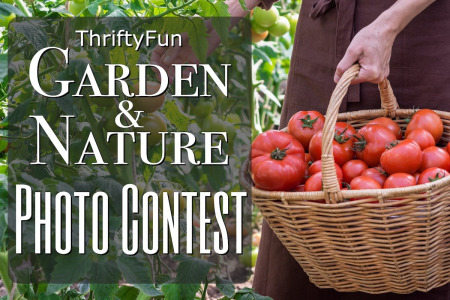 While the winning photo is ultimately an editorial decision, the popularity of the photo and the number of thumbs ups on ThriftyFun, likes on Facebook, pins on Pinterest and success on other social network sites factor into our decision. If any contest doesnt receive the minimum number of submissions (10), the contest will be extended for an additional month. No spam please, just useful information. Generated 2019/04/26 01:44:40 in 107 msecs.